Memorial Day or Decoration Day is a federal holiday in the United States for remembering the people who died while serving in the country’s armed forces.The holiday, which is currently observed every year on the last Monday of May, will be held on May 28, 2018. The holiday was held on May 30 from 1868 to 1970. It marks the unofficial start of the summer vacation season, while Labor Day marks its end. Many people visit cemeteries and memorials, particularly to honor those who have died in military service. Many volunteers place an American flag on each grave in national cemeteries. Memorial Day is not to be confused with Veterans Day – Memorial Day is a day of remembering the men and women who died while serving, whereas Veterans Day celebrates the service of all U.S. military veterans. 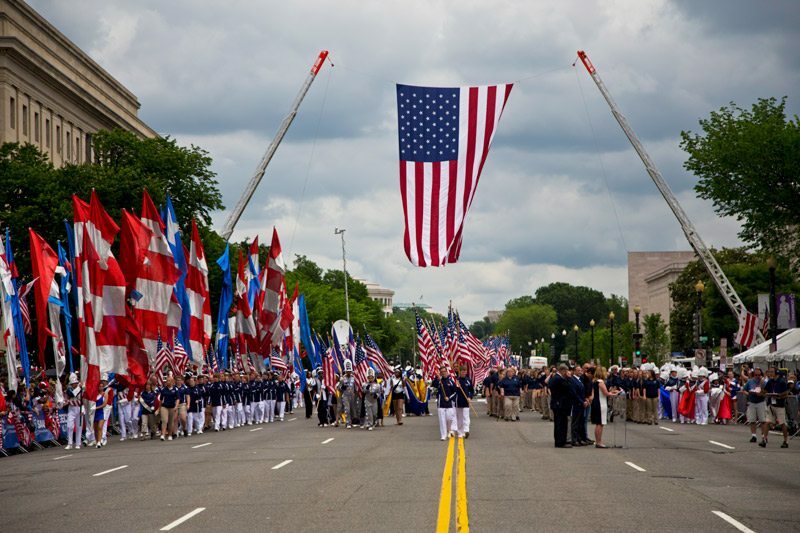 It is also not to be confused with Armed Forces Day, a minor U.S. remembrance celebrated earlier in May, which specifically honors those currently serving in the U.S. military. The practice of decorating soldiers’ graves with flowers is an ancient custom. Soldiers’ graves were decorated in the U.S. before and during the American Civil War. Some believe that an annual cemetery decoration practice began before the American Civil War and thus may reflect the real origin of the “memorial day” idea. Annual Decoration Days for particular cemeteries are still held on a Sunday in late spring or early summer in some rural areas of the American South, notably in the mountain areas. In cases involving a family graveyard where remote ancestors as well as those who were deceased more recently are buried, this may take on the character of an extended family reunion to which some people travel hundreds of miles. People gather, put flowers on graves and renew contacts with relatives and others. There often is a religious service and a picnic-like “dinner on the grounds,” the traditional term for a potluck meal at a church. On June 3, 1861, Warrenton, Virginia was the location of the first Civil War soldier’s grave ever to be decorated, according to a Richmond Times-Dispatch newspaper article in 1906. In 1862, women in Savannah, Georgia decorated Confederate soldiers’ graves according to the Savannah Republican. The 1863 cemetery dedication at Gettysburg, Pennsylvania, was a ceremony of commemoration at the graves of dead soldiers. On July 4, 1864, ladies decorated soldiers’ graves according to local historians in Boalsburg, Pennsylvania. and Boalsburg promotes itself as the birthplace of Memorial Day. In April 1865, following President Abraham Lincoln’s assassination, commemorations were ubiquitous. The more than 600,000 soldiers of both sides who died in the Civil War meant that burial and memorialization took on new cultural significance. Under the leadership of women during the war, an increasingly formal practice of decorating graves had taken shape. In 1865, the federal government began creating national military cemeteries for the Union war dead. In 1868, copying a southern annual observance, General John A. Logan of the Grand Army of the Republic, an organization of Union veterans founded in Decatur, Illinois, established Decoration Day as a time for the nation to decorate the graves of the Union war dead with flowers. By the 20th century, various Union and Confederate memorial traditions, celebrated on different days, merged, and Memorial Day eventually extended to honor all Americans who died while in the military service. Indiana from the 1860s to the 1920s saw numerous debates On how to expand the celebration. It was a favorite lobbying activity of the Grand Army of the Republic (GAR). An 1884 GAR handbook explained that Memorial Day was “the day of all days in the G.A.R. Calendar” in terms of mobolizing public support for pensions. It advised family members to “exercise great care” in keeping the veterans sober.. As the years went by, the GAR complained more and more about the younger generation. In 1913, one Hoosier veteran complained that younger people born since the war had a “tendency … to forget the purpose of Memorial Day and make it a day for games, races and revelry, instead of a day of memory and tears.” Indeed, in 1911 the scheduling of the Indianapolis Motor Speedway car race was vehemently opposed by the increasingly elderly GAR. The state legislature in 1923 rejected the race on that special day. But the new American Legion and local officials wanted the big race to continue, so Governor Warren McCray vetoed the bill and the race went on. In the national capital in 1913 the four-day “Blue-Gray Reunion” featured parades, re-enactments, and speeches from a host of dignitaries, including President Woodrow Wilson, the first Southerner elected to the White House since the War. James Heflin of Alabama gave the main address. Heflin was a noted orator; His choice as Memorial Day speaker was criticized, as he was opposed for his support of segregation; however, his speech was moderate in tone and stressed national unity and goodwill, gaining him praise from newspapers. One of the longest-standing traditions is the running of the Indianapolis 500, an auto race which has been held in conjunction with Memorial Day since 1911. Originally it was held on Memorial Day itself, and since 1974 it runs on the Sunday preceding the Memorial Day holiday. Since 1961 NASCAR‘s Coca-Cola 600 has been held during Memorial Day weekend, and has also been held on the previous Sunday since 1974. Since 1976 The Memorial Tournament golf event has been held on or close to the Memorial Day weekend. The final of the NCAA Division I Men’s Lacrosse Championship is held on Memorial Day. The preferred name for the holiday gradually changed from “Decoration Day” to “Memorial Day,” which was first used in 1882. Memorial Day did not become the more common name until after World War II, and was not declared the official name by Federal law until 1967. On June 28, 1968, Congress passed the Uniform Monday Holiday Act, which moved four holidays, including Memorial Day, from their traditional dates to a specified Monday in order to create a convenient three-day weekend. The change moved Memorial Day from its traditional May 30 date to the last Monday in May. The law took effect at the federal level in 1971. After some initial confusion and unwillingness to comply, all 50 states adopted Congress’ change of date within a few years.